What’s That In The Water? Have you ever seen a Platypus in its natural habitat? Perhaps you’ve heard that Cave Hill Creek is one of the best spots in Australia to witness notoriously elusive animal? 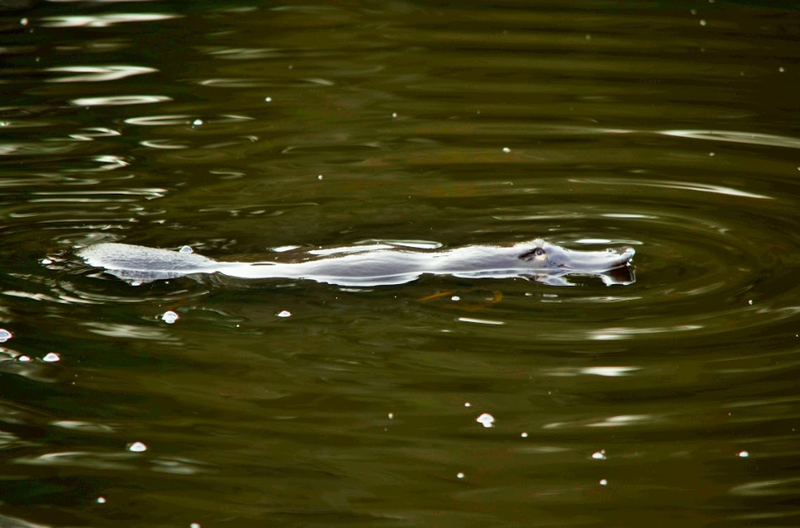 Did you know // Less than 1% of Australians have witnessed a Platypus in the wild! The Platypus is one of only 3 species belonging to the Monotreme group in the world (the other two being the short and the long-beaked Echidna!) Monotremes are extremely rare and are a bizarre leftover from island evolution- a unique combination of mammal and marsupial characteristics. They are peculiar in that they are the only species of mammal to produce eggs when birthing offspring! Often mistaken for water rats, the Platypus is very shy, rarely appearing to be seen by onlookers. With some platypus populations hibernating during the southern winter months, the Platypus is not regularly seen through autumn and winter, however they tend to show themselves heading in to spring and summer, appearing on the surface of the water for 10-20 seconds at a time, before ducking down underneath the surface for 50 seconds to a minute making them very difficult to spot! There’s even more to this weird and wonderful animal than meets the eye! When first witnessed by early Victorian settlers and botanists, the Platypus was originally thought to be a hoax- a sort of animal Frankenstein! It was initially thought that the Platypus must have been stitched together as some sort of joke! Early settlers believed this as the platypus has the bill of a duck, the spurs of a Gamecock and the fur of an otter- it was thought that no such an animal could exist! But, here at Cave Hill Creek, we’ve been lucky enough that the lake has become somewhat famous for being one of the best places to see the Platypus in Australia! Keep in mind that they are always difficult to spot. Dawn or dusk is generally the best times to see these beautiful and very unique Australian animals, and the best way to do that is with a group stay at Cave Hill Creek! For next weeks ’30 Stories for 30 Years’ instalment, we dive back into the history of one of Cave Hill Creek’s most historical buildings, and investigate a brotherly rivalry that changed the face of the surrounding area!